Two new cabernet sauvignons I’ve been wanting to try from a local shop. Both have been previously suggested by fellow wine lovers. I was looking for a short, three bottle comparison. Sadly the third wine, a kosher Zmora, almost got in but turned out to be an ’09. Sorry, you’re out! 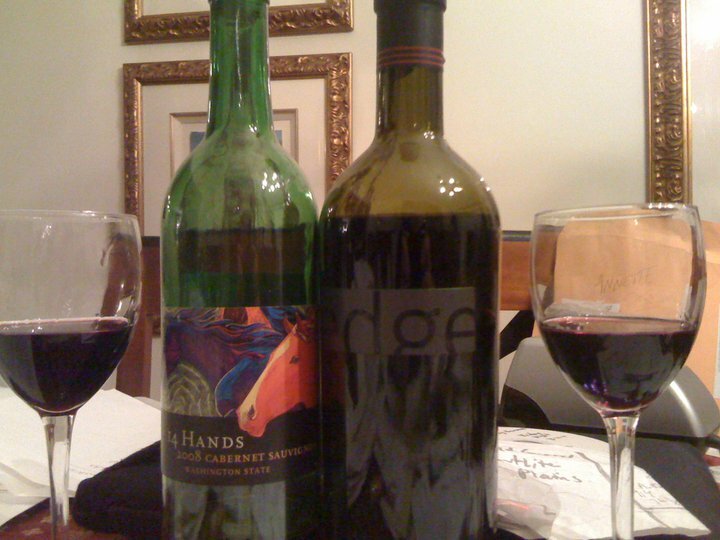 ‎#1: (on the left) 14 Hands Cabernet Sauvignon ’08 from Washington. Floral nose w/ cherry, black currant, strong spice. It had lots of early astringency and bite in the palate. A decent under $10 value but I’m not bowled over. Tried it with several foods, it paired best with chocolate. This is going to be someone’s favorite Cab, but for me… I’d pass. It’s drinkable, but not something I’ll really enjoy unless I found the right pairing complement. #2: (on the right) Edge Cabernet Sauvignon 2008 from Napa. The winemaker’s pedigree here is evident with a complex, delightful wine that sports berry and delicate spices across a softer palate with balance and grace as if its aged years already. Drinkable now, it’s obvious why this costs 2x the 14 Hands- it’s a $20 bottle that compares well to $40 Californian standards. Buy & drink now or cave, I’d serve this for a dinner party as the depth of this wine will pair well with just about anything– I can see this working beautifully from salmon to bison to delicate (vanilla-based) desserts like flan or cheesecake. If you are game for a $20 Napa Cab- try this. I think it’s a home run! 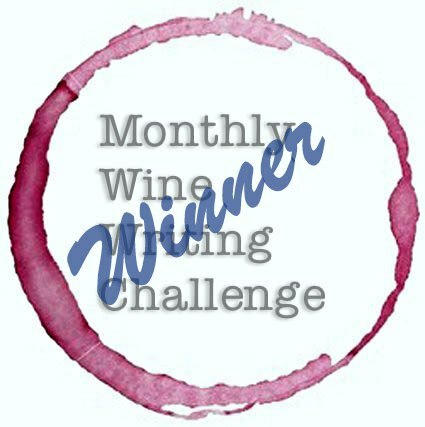 Challenge Winner: Edge 2008 Cab. Five Malbec suggestions: First, the best thing going these days in entry-level wine: Malbec from Mendoza, Argentina. These run as low as $9/bottle and most are an excellent value! Los Alamos (2005-2009 are solid: red berry dominates with vanilla and oak, a little tart on the finish, a great entry into the world of Malbec. Kaiken- the 2007-2009’s are similar: floral with red fruit and oak barrel notes, and perfect with most foods. Catena Zapata- expensive in my list at 13-14/bottle, lush and gets ratings over 91 by top vinophiles- to me, it’s just a solid quality vineyard! The reserve goes for about 20/bottle and is fabulous to serve to guests: a real crowd pleaser! MMM- Miguel Mendoza Malbec- from 06′-’09, from $12-16. Lush, fabulous. Take these five to your local REAL wine store. Ask what Malbecs they have and what best “value or bang for the buck” they have. I bet you find two of these at least, but maybe more, and maybe something I don’t know that you will suggest to me!